Lemon Water: Is it Really As Great for Weight Loss as They Say? Is Lemon Water as Great for Weight Loss as They Say? Lemon water has been growing in popularity over the last few years as people constantly talk about its health benefits and the help that it can give someone who is trying to lose weight. People discuss it as though it were some kind of magical elixir that could keep them healthy, young, and slim. Certainly, it isn’t beneficial quite to that extent, but many people now wonder how many of the claims are true and to what extent. How much does lemon water really do for weight loss? According to an Academy of Nutrition and Dietetics spokesperson, Alissa Rumsey R.D., “Hot water with lemon in and of itself does not cause any actual weight loss.” That said, what it does do is help a dieter to replace a higher calorie beverage or one that is higher in sugars, with or that has nearly no calories at all, that is healthy, and that tastes great. By choosing lemon water instead of sugary coffee drinks, soda, or fruit juice, a dieter can slash the calories and sugars that he or she is consuming in a day, making it far easier to shed the excess pounds. 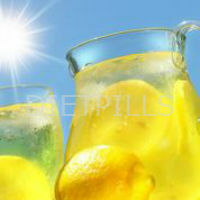 Moreover, drinking water, regardless of its temperature or whether it contains a slice of a citrus fruit, hydrates. Proper hydration is key to ensuring that the metabolism is running at its best. Therefore, by drinking lemon water, you are taking the right steps toward keeping up your hydration level and, in doing so, are giving yourself a better shot at burning calories and fats at the fastest possible rate. Rumsy also pointed out that in the short term, lemon water can act as a natural, mild diuretic, which can help someone to overcome a bout of bloating. That said, if bloating has been occurring chronically, it is important to speak with a doctor to ensure that there isn’t an underlying condition behind it. In those cases, lemon water is not the solution. Many people find that by adding a wedge of lemon to their water, the beverage smells and tastes better than drinking water on its own. That is important because it means that you will be more likely to actually drink it than you would if it had a neutral flavor. The pleasant taste of the fruit can help to encourage you to keep sipping away at that glass of lemon water, instead of letting it sit there all day long. This entry was posted in Healthy Dieting and tagged dieting, eating healthy, weight loss on February 18, 2015 by Diet-Pills.cc.